Behold the perfect car for the world's best player. Rumors that Maserati is developing a successor to the MC12 supercar based on the LaFerrari have been rife for years now, but as time has passed it seems increasingly unlikely to happen, considering that the LaFerrari has been around for over three years now. This year of course also marks the 70th anniversary of Ferrari which once again sparked rumors of the MC12 successor after mysterious design renders resembling a special edition LaFerrari emerged, but Maserati remains silent. It’s a shame, because Maserati hasn’t released a supercar since the MC12 way back in 2004 based on the Ferrari Enzo. To fill the void, designer Randy Hjelm has envisioned how a potential MC12 successor could look for his senior thesis. It's designed specifically for Spanish soccer star Lionel Messi since he’s probably one of the few people in the world that could afford it – especially as you can guarantee it would be available in very limited numbers. Compared to previous renders designed by other artists, Hjelm’s take on the Maserati is more extreme, sporting a low-slung bumper and hood, an open cockpit, and an Aston Martin Valkyrie-style rear wing. Its otherworldly appearance is undeniably appealing, but suffice to say the outlandish design is unlikely to meet regulations to make it street-legal like the Aston Martin Valkyrie. Still, we live in hope that Maserati will one day return to the supercar scene. 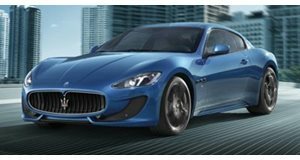 Make it happen, Maserati.